When clinical engineering teams and healthcare facility management are in charge of thousands of physical assets, medical devices, and staff, it often becomes an overwhelming challenge. Asset management software can keep this process simple, organized, and automated. That’s why Edge Biomed created eBioTrack to help our clients manage and track their assets so that they can focus on what matters most. Are you able to name all the assets in your facility? Do you know the exact location of every machine? How it is being used? The service history? What repairs were made? Is it compliant? Most likely, you either don’t know the answer or it would take you quite a while to find the information for every device, especially if your organization has multiple sites. eBioTrack allows you to get all the information you need to monitor and track your sites, staff, and equipment. Having a centralized place for your data that is easily accessible 24/7, will help you save time when making important data driven decisions. 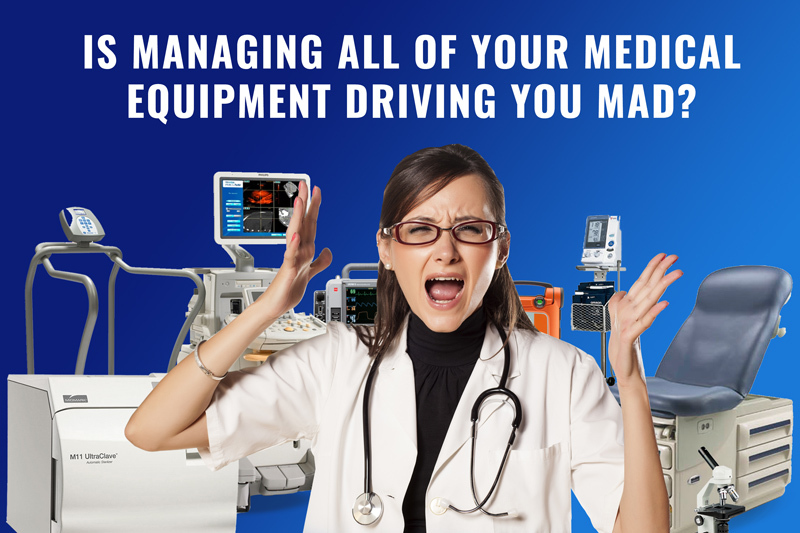 Are you still managing your equipment and staff through spreadsheets? Do you have a filing cabinet full of files and user guides? Upload equipment manuals, previous service records, staff certifications, office tasks, and so much more into eBioTrack to organize the many things that need to be managed. With the easy to read dashboard, up to date inventory list with service history, and the calendar feature to view upcoming events with e-minders sent to automatically keep you “on track”, it’s the perfect tool for organization and visibility into maintaining compliance. Sit back, relax, and let Edge manage your equipment. In order to remain compliant with various agencies and insurance providers, your equipment must have annual inspections. Edge Biomed manages and services your equipment and will remind you 60 and 30 days before your inspections are due to expire, so you’ll never have to worry about tracking those dates or not being compliant. Our techs will handle all maintenance, tests, and calibration for each sites equipment to ensure diagnostic accuracy and overall patient safety, so you can focus on what matters most – patient care. To learn more about eBioTrack’s endless features and how it can benefit your organization, contact us!